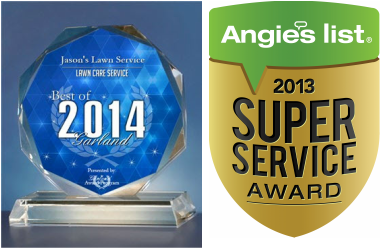 Jason's Lawn Service has been in business since 1999 servicing the Northern DFW Area. Our number one goal is to make sure our customers are happy with their services year after year. Jason's Lawn Service is one of only a few companies that allows there customers to log in and manage their accounts online. Our office is also staffed from 8:00 a.m. - 6:00 p.m during the growing season. Call or e-mail us today for a free estimate.